My wife has mentioned a few times that she's not really interested in the seeing the movie World Trade Center because she thinks Nicolas Cage is a poor actor. She's says that in most films Nicolas Cage looks like he's just out of it, and it botheres her. She mentioned this the other night with friends that the only movie of his she liked was Raising Arizona. I responded that I thought he did an excellent job in the film Adaptation, and while I didn't enjoy Leaving Las Vegas very much, he did an excellent job in the role. Then different people started chiming in with their favorite Nicolas Cage film, whether that was Con Air, Gone in 60 Seconds, The Family Man or It Could Happen to You. But Cage, who got his first breaks with a bit part in Fast Times at Ridgemont High, and a role in his Uncle's (Francis Ford Copolla) film Rumble Fish really has jumpstarted Cage with an interesting career of diverse collection of films and a unique fan base. Personally, I don't really get, but Cage gets the roles. He is already slated to star in a number of projects, of which the most buzzed about film is Ghost Rider where he will play Johnny Blaze. 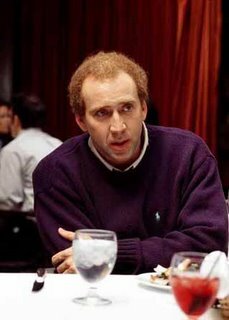 I'm not really a big fan of Cage, either, but when he's in a role that fits his personality well he's really good in it. 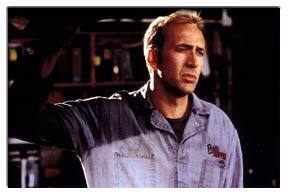 The best roles I've seen him in are Matchstick Men and, actually, National Treasure. He's got to play slightly off-kilter yet intelligent characters, much like his role in The Rock. I haven't seen Adaptation yet, unfortunately, but I have heard that he's very good in that, too. Kim...I think you were reading my mind. 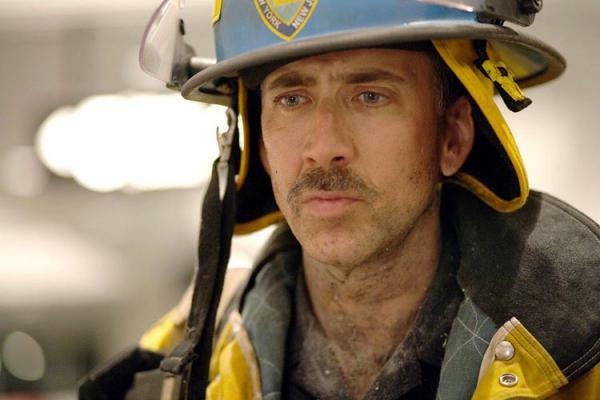 Although I did not enjoy the United 93 movie I was willing to see World Trade Center UNTIL I saw Nicolas Cage and his horrible mustache. It's now completely ruined. I think he has done a good job in a few movies, but I try to avoid him all together. I don't think he will be believable in WTC and I know they could have found a better actor. I will be skipping this movie. It's not the "Cage Factor" in this movie that is upsetting me. Exactly 5 years after 9/11 and we still don't know all the details. But there is two things that are completely understood people died and then some people died for those people. I don't appreciate movies like this. Way too soon for my taste. I LOVE Nicholas Cage... There is something about him.. the puppy dog eyes, the toughness and sensitivity molded together with a touch of aloofness.. ahhhh. I have to agree with Oliver Stone on this one. He said this movie is important so that our children don't forget. He said that people are already forgetting - and that is sad. In the big scheme of things, it really doesn't matter (except to the anti-Bush contingent) who knew what and when they knew it. Clinton could have gotten bin Laden and didn't. This movie is important, in my mind. I am also pleased to see that NYC police and firefighters like it - as well as some victims' families. It seems that Stone covered what happened - and left out his usual "conspiracy" theories. I'm 100% with your wife, Nicholas Cage is a poor actor. THere's too much Nic Cage in his performances. I don't even like Raising Arizona, and it was made by the Coen Brothers who can do virtually no wrong in my eyes, because of the Cage Factor. I definitely will not be seeing World Trade Center. And I don't think anyone has forgotten about 9/11. Oliver Stone is hoping to get eyeballs in the theatres looking at his film, that's why he's hyping it. Hollywood's in the business of making money, not movies. I liked Adaptation, I think... I wasn't exactly sure what the screen writer was trying to get at in the end. But anyway, Cage could have been replaced by a whole bunch of different actors. But I think it was his lack of what we think of as good acting that helped us believe the parts he played. He was both a genius and a dufus. Or is it doofus? And in both parts he was a kind of a regular guy. But in WTC we want him to be a really really regular guy. He's played too many action heros to be a regular guy in a hero role. I would think an unknown or that guy that used to play on The Commish would be a better choice. Why not Tony Danza? Or the guy from King of Queens? They were probably busy. I think an unknown (think Superman Returns) would have been a better choice as it would have allowed the audience to see the horror and challenges through the eyes of someone for whom we do not have previous images flashing across our minds. Sometimes when you use namebrand you risk blurring the purity of the main character with previously formed biases of a "star". Cage has done some great movies, Leaving Las Vegas being one. When he is plopped into a role of an ordinary man with extraorinary challenges, it is difficult to leave the Cage of quirkier roles aside. OK, minority report here. Nicolas (no 'h') is a very talented person. He can't do accents (Lord of War). He can't do buff (The Rock, Con Air). He can do soulful comedic or dramatic that is right on the verge of painfully real and human. He wears his heart on his sleeve. So it was no mistake when he won Best Actor for Leaving Las Vegas for a performance that probably took a couple years off the end of his life. Even though there was a little historical irony that exactly 50 years earlier, Ray Milland had won Best Actor for playing an alcoholic (and no other winners in between did). And it probably was a mistake when he didn't win again for his roles in Adaptation (though of course the other actors were also brilliant). All this to say -- in this writer's humble opinion, Cage will be one of the better aspects of World Trade Center, certainly more than Stone. If Cage weren't in the film, I probably wouldn't be interested in seeing it. OK, so just a couple cents to throw in the ring. actually I wanted to know why there's such a big fuss over this new movie..could someone enlighten me plz tnxx! will thanks for alerting to my typo of nic's name...i know my post often have a number of spelling and grammar errors, but the least I could do is spell the guy's name right. I think this is a very good conversation, because I think while many people don't like much of cage's work, the things that different people like are different...which probably shows us that he is a good actor. I agree with bennett and g-force that a regular guy might seem more appealing...that's one of the things I valued about United 93. I appear to be in the minority here, as with most things in life, but I really enjoy Cage in most of the films he's made, but particularly in the ones where he gets to chew the scenery a little bit, like Wild At Heart or Matchstick Men. Raising Arizona, Wild at Heart, Leaving las Vegas, Adaptation....hell, even Peggy Sue Got Married.... solidly awesome flicks. And The Rock and Con-Air - cheesy as they are - are FUN action-packed movies. Funny, I was just thinking about Nicholas Cage and my feelings about him this weekend. I've kind of lost patience for his phone-in performance in those more recent ridiculous Bruckheimer films- Gone in 60 Seconds, National Treasure- but I saw Lord of War this weekend, and apart from being a great eye-opening film about the arms trade, Nicholas Cage was excellent in it. I'm a big cage fan. 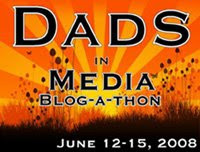 I must admit the adaptation gig and leaving las vegas are the highlights for me. He should do more stretching roles likes these. I consider adpatation his funniest role. I'm enjoying the whole "Nicolas Cage" discussion, but I want to add my two cents about the whole need for a "WTC" movie. Here in my living room in Canada, we avoid certain movies. We call them "flag-wavers"...no offence to our American friends, but when the music builds, the hero looks at a picture of the tattered American flag and then vows to keep on...well, it's just a bit too much. It seems to me that Mr. Stone is going to give his interpretation of what happens, wrap it in a flag, and then the American masses will eat it up as truth. That scares me! I'll be giving this bit of propoganda a giant miss, thank you. No need to apologize. Some of us down here in the States feel that way too. Amen to what Paula said. Patriotism is a hot sell these days. As for those awesome films like Raising Arizona, Adaptation, Wild At Heart, and Peggy Sue Got Married (I never saw Leaving Las Vegas), consider that people like the Coen Brothers, Spike Jonze, David Lynch, and Francis Ford Coppola, might just be able to make a decent movie even when they have scenery chewing actors. But Oliver Stone? I dunno. i would have to agree w/ your wife somewhat in that i think he seems out of it a lot of the time, but i always took it as being one of those artsy fartsy type of actors. i do like him though. i really enjoyed him in Family Man and also that movie w/ Sarah Jessica Parker that took place in Vegas. I fell in love w/ him, actually, a LONG time ago in Valley Girl. Loved him in that. And, like you, I really liked Adaptation and thought he was excellent in it. Ghost Rider is going to be even worse than WTC. I think it's funny that he was trying to get in a comic book movie for years and the only one he could get was Marvel's worst character this side of The Whizzer.